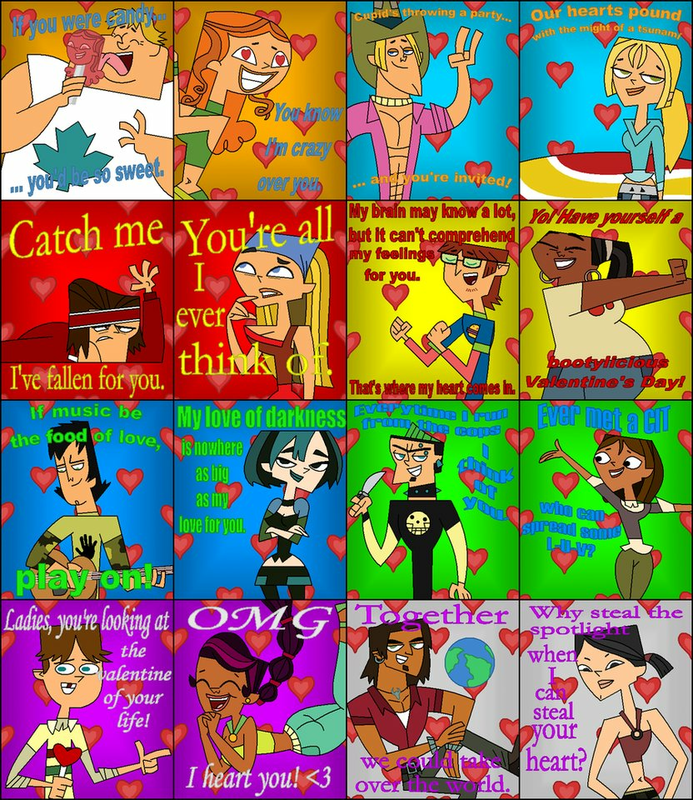 TDI vanentines. . HD Wallpaper and background images in the 토탈 드라마 아일랜드 club tagged: total drama tdi total drama island tdwt total drama world tour island total drama action. YAY! 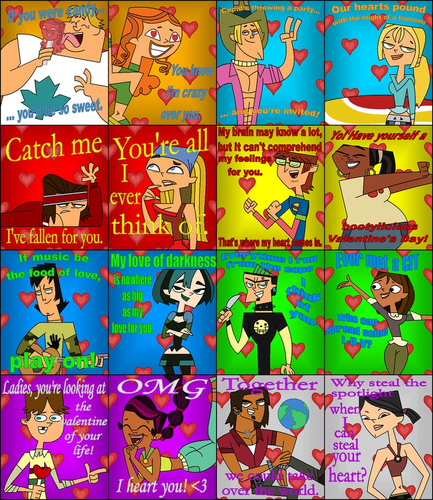 All my favourite couples are in it! Gwen and duncan can hate you know that miss Michele.